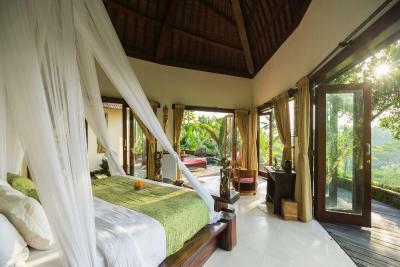 Lock in a great price for Adiwana Dara Ayu Villas – rated 8.9 by recent guests! We liked the nature feels around our room. It's great! The staff are all accomodating and friendly. The place is wonderful. 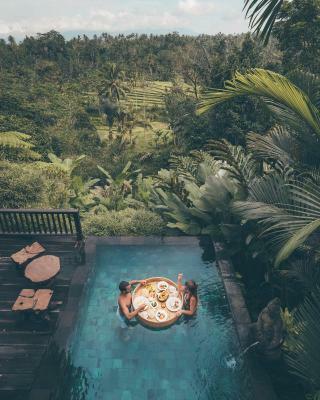 The infinity pool was amazing, and so was the floating breakfast. The food was really good. There was a net on the bed which was great to keep out insects. So relaxing and serene!! The hotel is just fantastic. You really feel like you are the only person in the world, it's very private, spacious and you couldn't notice anybody else. 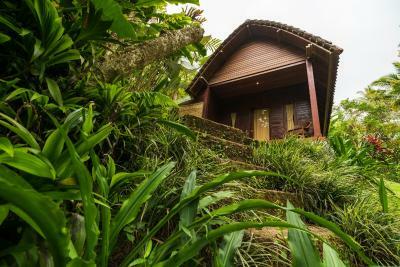 I got a fantastic 90min massage in front of our villa which was surreal, to be this deep in the jungle and listen to the animals, while completely relaxed. First things first, the view is what you're paying for here and it is TRULY outstanding. I have never stayed somewhere with such an absolutely gorgeous view. 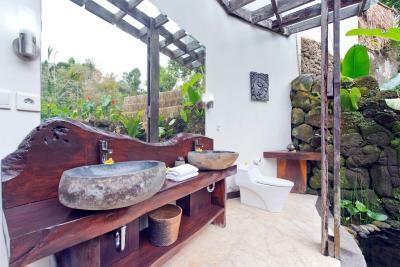 I also thought the outside bathroom was beautiful, with the bath in particular being really special. 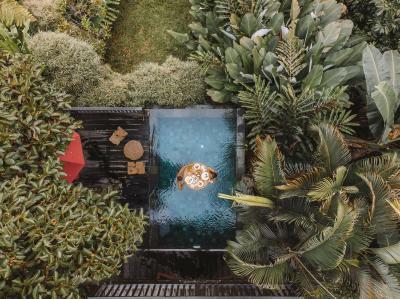 Our small private pool was amazing, and having our floating breakfast from the comfort of our own villa was such a special memory and treat! The true value of this property though is the view and the grounds - it is set in such a special location, with a lot of attention paid to the gardens and natural aesthetic. The whole grounds are insanely gorgeous and magical, and look just as pictured: Very beautiful! If you're after a really special, but quiet retreat (and maybe not a foodie? ), this would be such a great location for it! 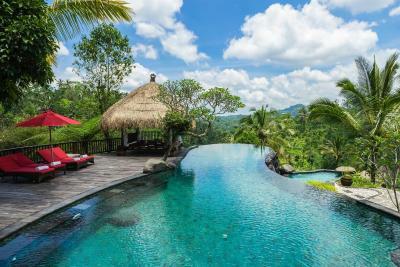 Stunning location, the main pool area is breath taking. We stayed in the private villa with a pool and it was wonderful! Quite, tranquil and stunning views of the rice fields. 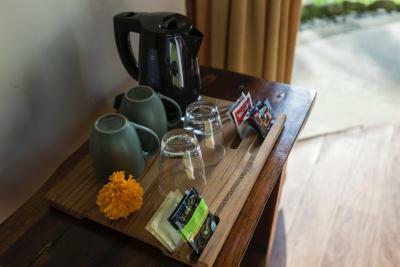 The breakfast that is included is phenomenal - freshly squeezed fruit juice, fresh fruit, homemade jam, just extraordinary (I love how they utilize all that they have on the property) considering you’re quite far from any shops, etc. the staff at this place are exceptional, always smiles, willing to help, friendly and go above and beyond to make your stay what it is! It is lovely if you’re looking for a quite place to just relax and get away from the hustle and bustle. 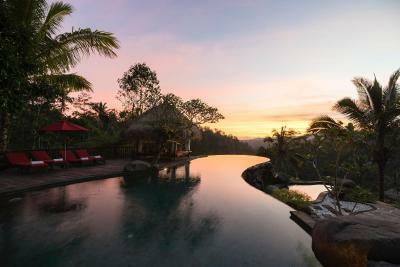 Beautiful secluded location, amazing view of the rice terraces and the jungle, balcony facing the sunset, quite large area to walk around, many photo opportunities, nice pool area. 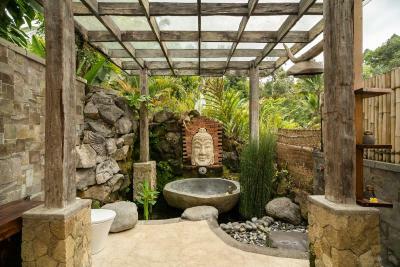 Bathroom was amazing with a bathtub carved out of stone, perfect for a hot bath after the whole day, big enough for 2 people, it even had a fish pond with real fish under the bathtub. We came here for one night only but once we entered the room, we decided to stay for one more night. Amazing view, very good breakfast, clean room, very polite staff and superior atmosphere. Worth to stay at least for 2 days! 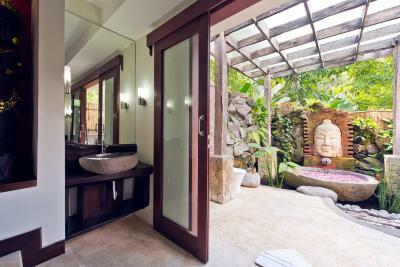 Adiwana Dara Ayu Villas This rating is a reflection of how the property compares to the industry standard when it comes to price, facilities and services available. It's based on a self-evaluation by the property. Use this rating to help choose your stay! 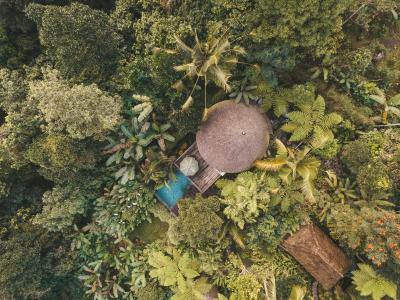 One of our top picks in Payangan.Located in Majangan, Buahan Village of Payangan Gianyar, Adiwana Dara Ayu Villas is a 45-minute drive from the center of Ubud. The villa offers complimentary WiFi. 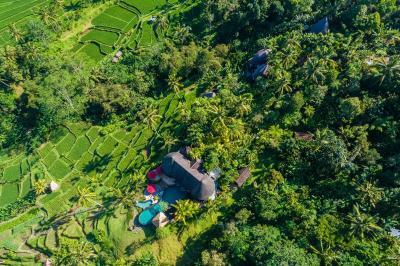 The property is surrounded by rice paddies, lush forest and offers views of the mountains, Adiwana Dara Ayu Villas feature wooden furniture and beautiful views of the surrounding greenery. 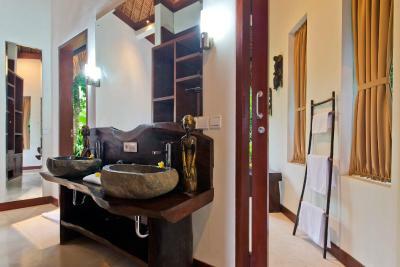 Each villa also has an outdoor bathroom with a sunken stone bathtub as well as a hot tub. Located next to the pool, a common dining area is also available for guests’ use. 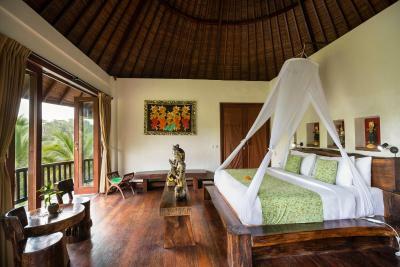 Day spa and numerous activities like hiking and traditional Balinese cooking classes can also be arranged at an additional charge. 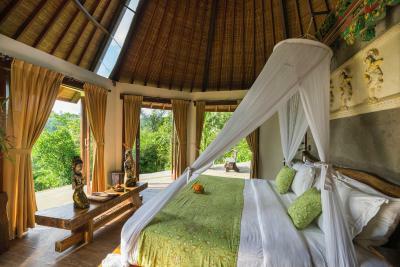 When would you like to stay at Adiwana Dara Ayu Villas? Offers private pool. 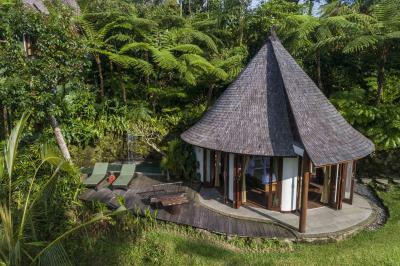 The wooden furnishing includes king size beds, spacious wardrobes, coffee tables and chairs.It also features a sundeck with sunbeds, as well as amazing views of the mountain and rice fields. 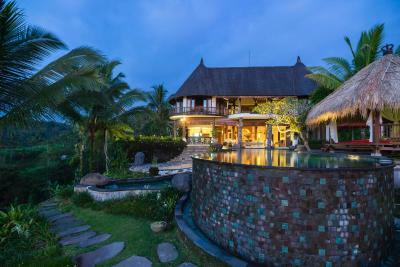 Inspired by Balinese and Javanese architecture, this villa overlooks the terraced rice field and hills. 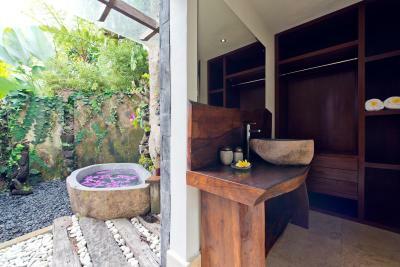 Furnished with chic wooden furniture, it features spacious bathroom and wardrobe. 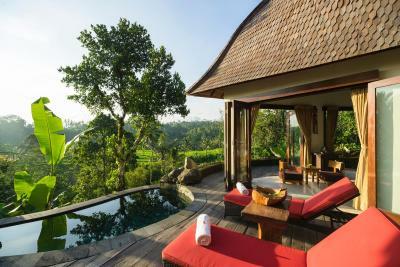 Inspired by Balinese and Javanese architecture, this spacious villa overlooks the terraced rice field and hills. 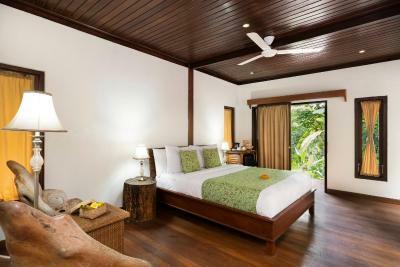 Furnished with chic wooden furniture, it features spacious bathroom and wardrobe. 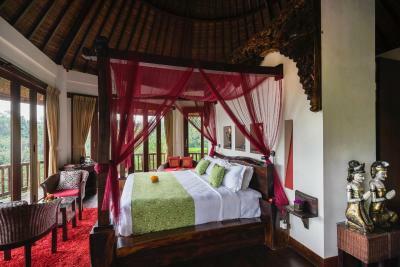 Inspired by Balinese and Javanese architecture, this suite overlooks the pool and hills. 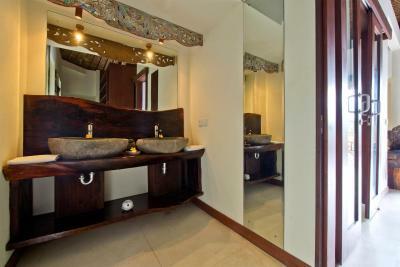 Furnished with chic wooden furniture, it features spacious bathroom and wardrobe. 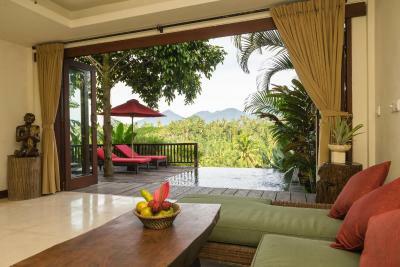 This villa has a private entrance, electric kettle and mini-bar. 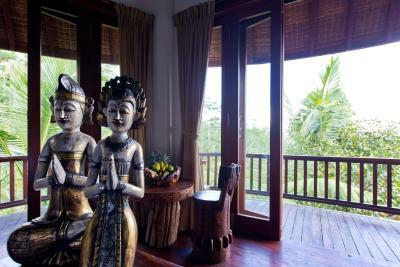 House Rules Adiwana Dara Ayu Villas takes special requests – add in the next step! 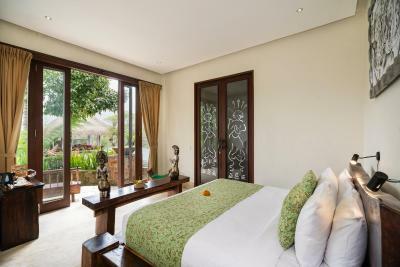 Any additional adults are charged IDR 650000 per night for extra beds. 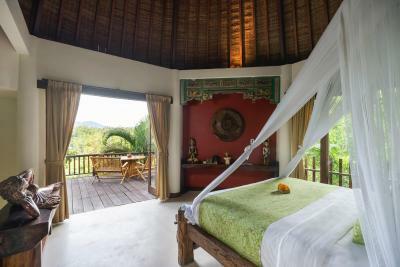 Adiwana Dara Ayu Villas accepts these cards and reserves the right to temporarily hold an amount prior to arrival. 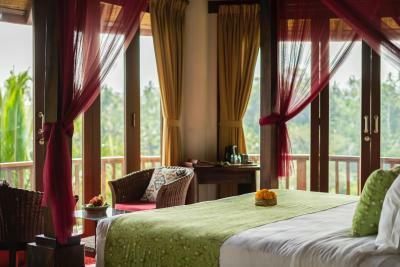 Guests staying a minimum of 7 nights get 1 free one-hour Balinese massage for 2 people. I cannot describe how perfect this place is. We enjoyed everything about it, the whole property is so beautiful! I cannot rate this place enough, easily the best views I have ever seen and due to only having 9 rooms the staff were attentive and the common areas were not too busy. Would go back in a heart beat! 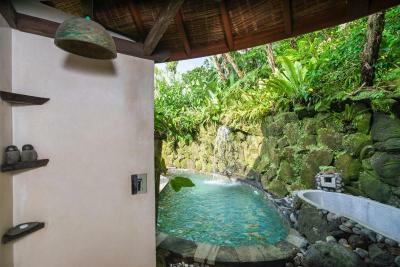 Booked a villa with a private pool but the cleanliness was horrible both inside the villa and pool had insects floating and didnt end using once. The villa windows and doors had an air gap therefore all kind of insects roamed inside at night even the netting had holes and to top it up a roof rat fell at 4am into the netting covering the bed and my wife got so freaked as it hurled away trying to escape from the bed and out of the villa through the not properly sealed window doors therefore we didnt sleep untill morning and we checked out early didnt even stay till checking out time although our flight was same day at midnight. The main pool view was something. Menu was a little limited, however I am fussy with food. 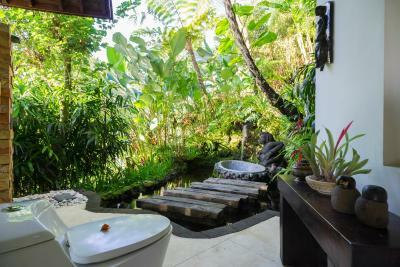 The bathroom is lovely but outside so having to use it in the middle of the night left me exposed to being bitten by mosquitos. Everything! 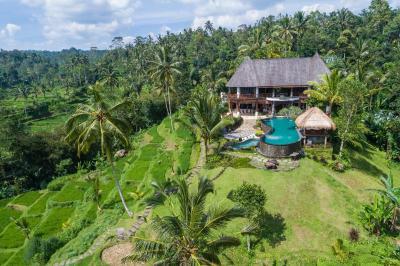 The location is about 30mins from main Ubud but it was in fantastic rice terraces so perfect for a private relaxing retreat. 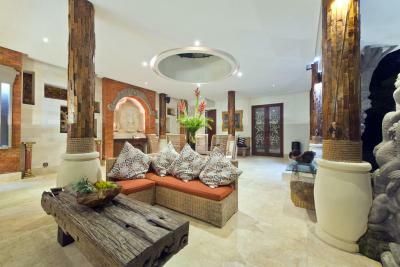 The room was perfect, the staff lovely and the whole venue exactly what we were looking for. 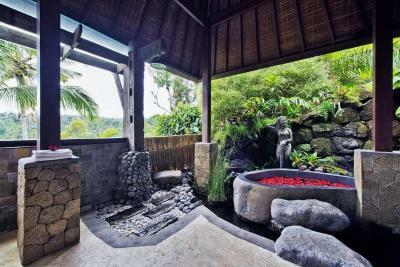 The masseuses are brought in and massages are in separate villas in the rice terraces. The infinity pool is lovely. Blood sucking , It bites my friend when soaking the bathtub. 😄 You must be careful not to soak the water at night. 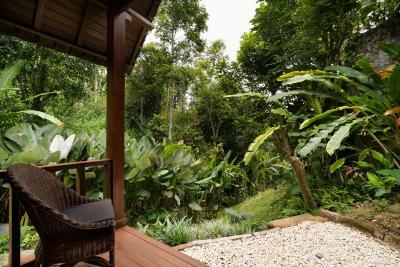 I think if you love nature It is recommended to book a room near the center. You will get everything impressive. Thank you to the impressive service staff. 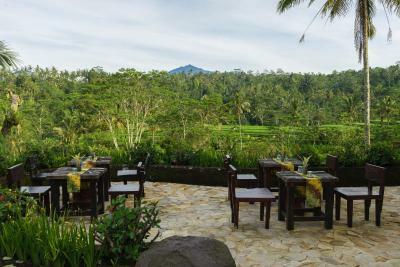 Here, delicious food, good atmosphere, quiet and very close to nature. This place was just surreal. 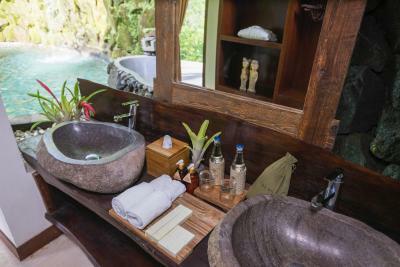 From the ambiance to the setting, the staff and the cleanliness was flawless. I enjoyed my stay very much and would definitely visit again. Thanks to all the Staffs who made my stay a comfortable and enjoyable one. We expected little bit more delicious kicthen and gastronomy, but it was ok.
Amazing! 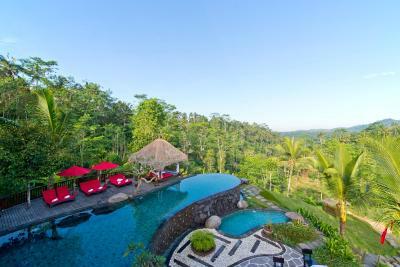 The room and surrounding gardens, view an the pool. So nice and quiet place. Love it. Stuff was very nice and friendly. It was like a familly luxury hotel. Our room was infested with bugs, mosquito net didn't fully cover the bed, the hand soap made our hands go numb, the wifi didn't work, we ordered cocktails and they took such a long time to get to us that the ingredients were all separated but the time we got them. We tried to check out early and the staff gave us a hard time. We asked for help calling their sister property and they lied to us saying it was full. We left anyway and went there and there were "plenty of rooms available" so we checked in there early. The staffs are very nice, helping us carry our luggage all the way to the room. The way from the entrance to the room is like stepping stone and they have to carry it on their shoulder. It's really move us. They're very friendly too, asking about our stay, food quality, any feedback for them. The view from the villa is STUNNING!! It will make u feel like you're on the other world. Overall everything is perfect. Will definitely come back with my gf.